A question that I am frequently asked by Starbucks customers is whether we have anything without coffee on the menu. Almost anything can be made decaf, but there are some great options that have no coffee in them at all. 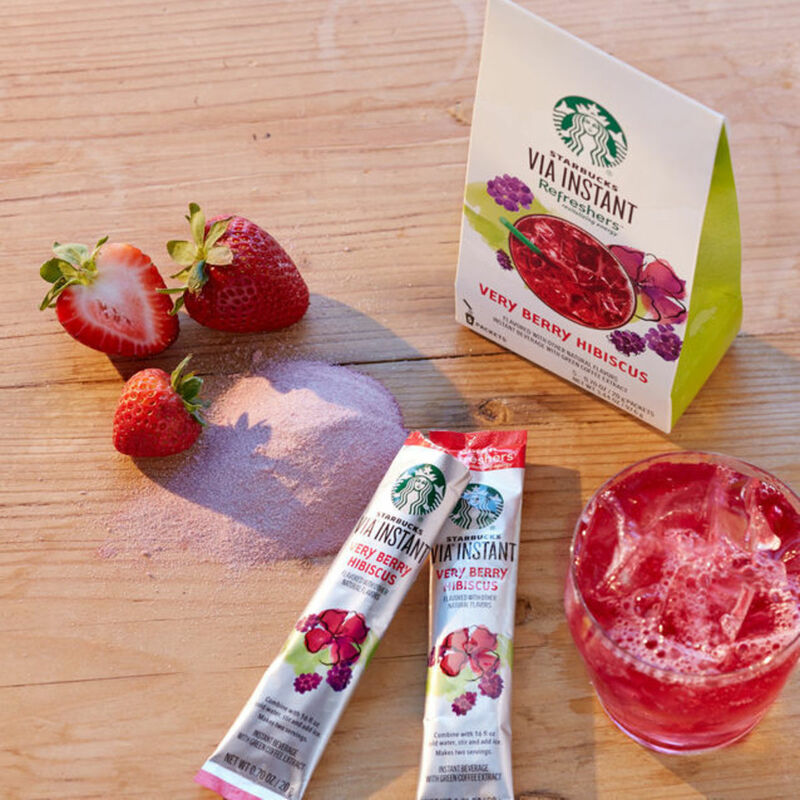 If you want to explore the coffee-free side of Starbucks, here's a top ten list to get you started with some of the tastiest options. 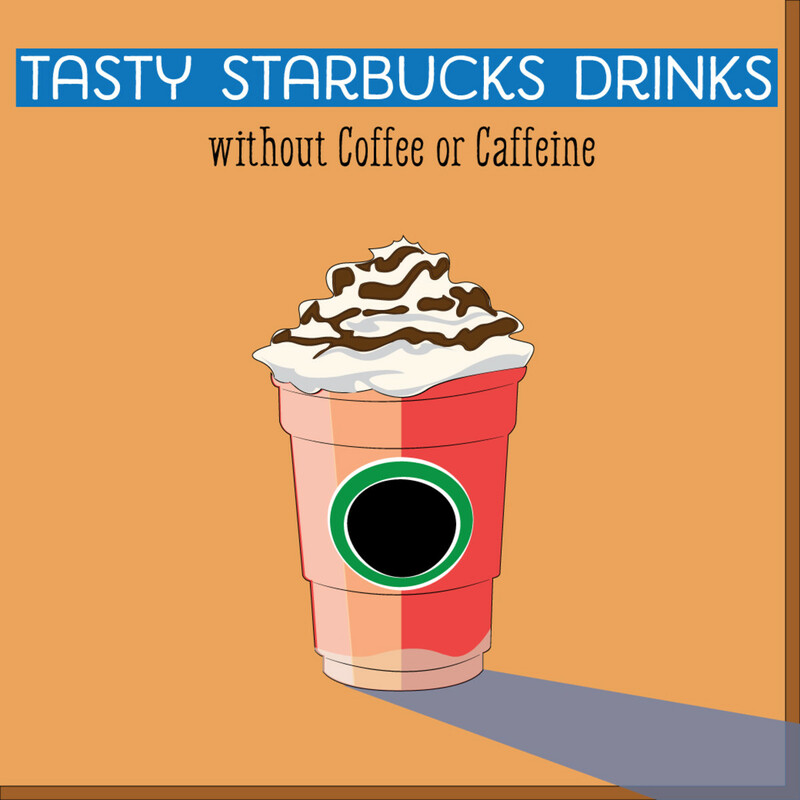 Any Frappuccino that can be made with coffee can be made either decaf or without coffee all together. Creme based Frappuccinos are blended, icy drinks that more closely resemble a milkshake than those with coffee added. 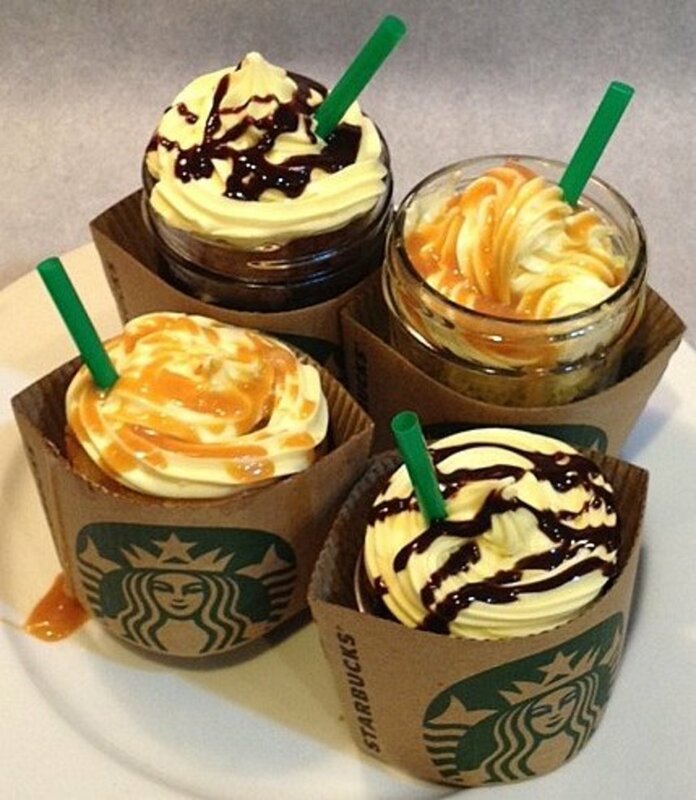 The most popular of these are the Vanilla Bean Frappuccino or the Double Chocolatey Chip. This drink is unique on the Starbucks menu as a blended beverage that has no milk at all. 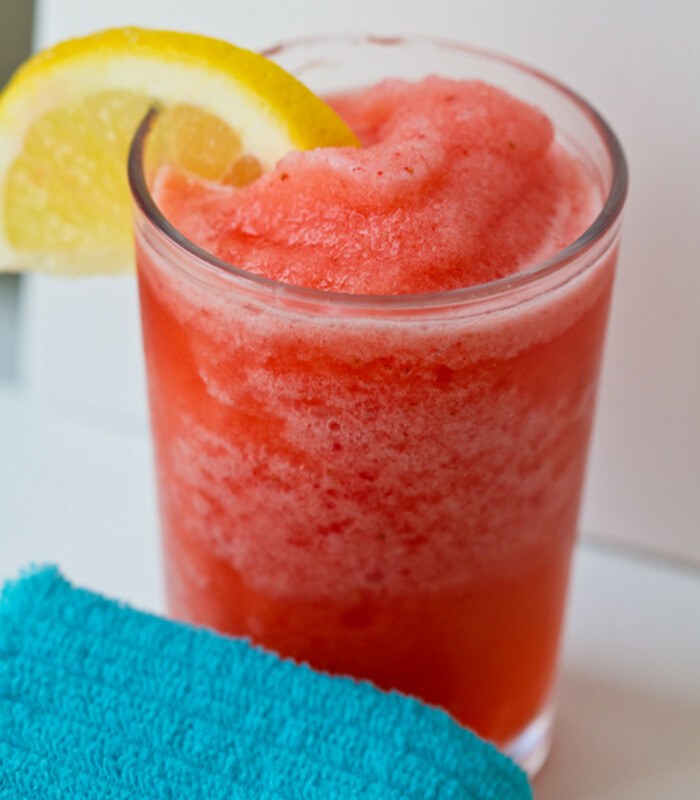 It is made from Strawberry puree, Lemonade, sugar and ice. 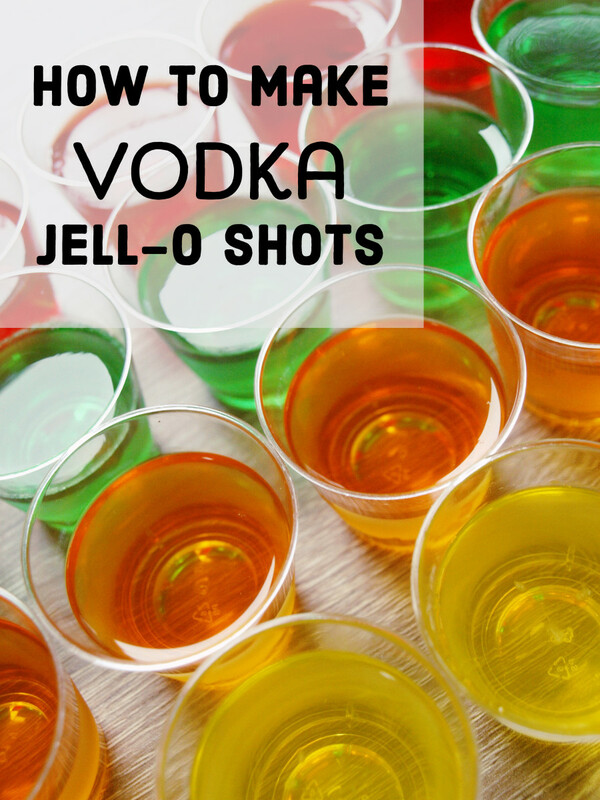 A fun twist on this is to order it without Lemonade. A Vanilla Steamer and a Vanilla Cream are the same thing in Starbucks terms. The name Steamer is more favorable, because there are Creme Frappuccinos, and this helps to avoid confusion. Simply put, a Steamer is a Latte without coffee added. It is made from steamed milk and a flavor of your choosing. Usually, these get whipped cream. 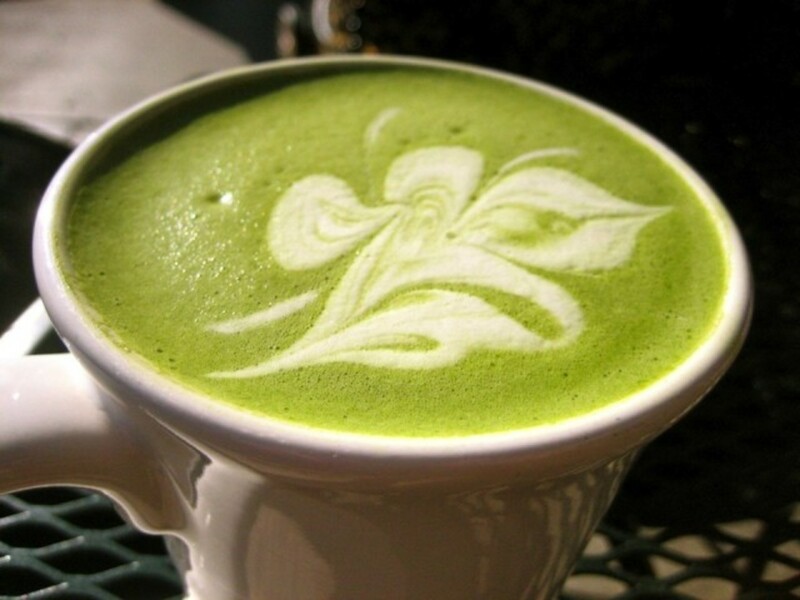 Any Steamer is made with 2% milk, but this can be easily swapped out for any other kind of milk - even soy or coconut. 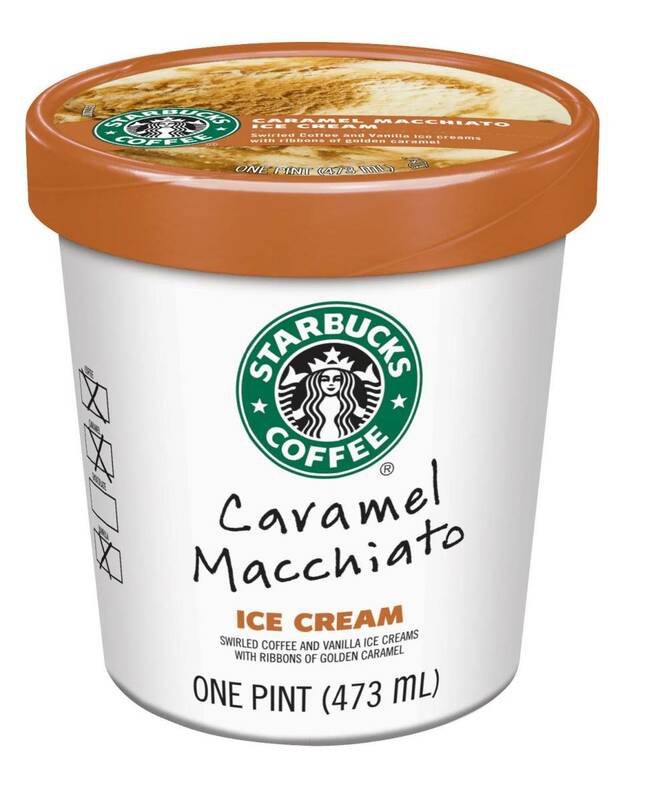 Of course, you can get a cold version of this as a cold cup of milk with some flavor added. 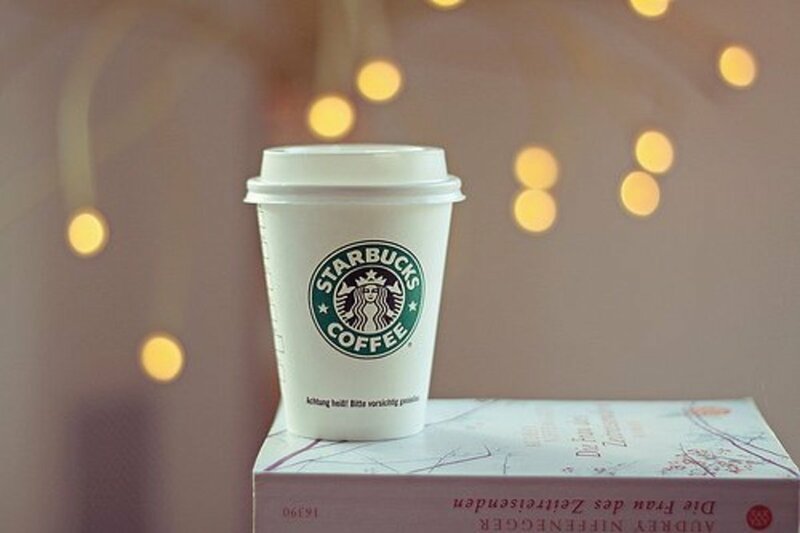 Starbucks makes hot chocolate with mocha and vanilla syrups. There is no actual caffeine in the mocha syrup, which is like a dark chocolate flavor. The addition of the vanilla makes the overall mix taste more like milk chocolate. 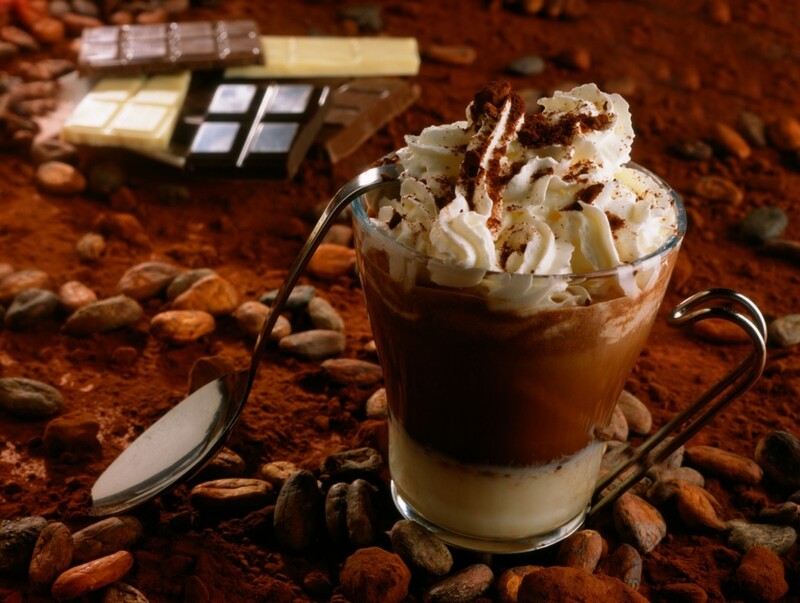 Traditionally, the hot chocolate is topped with whipped cream and chocolate drizzle. Chocolate milk is made the same way, but cold. Ice is not a standard part of the recipe, but baristas will usually ask if you want any added anyway. 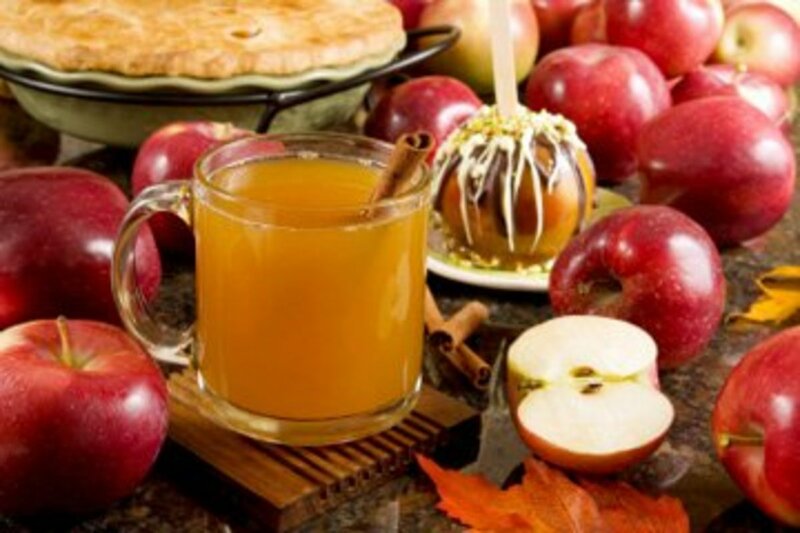 This fall favorite is made with apple juice, Cinnamon Dolce syrup, whipped cream, and caramel drizzle. It is available year-round, and is just as awesome iced as it is hot. 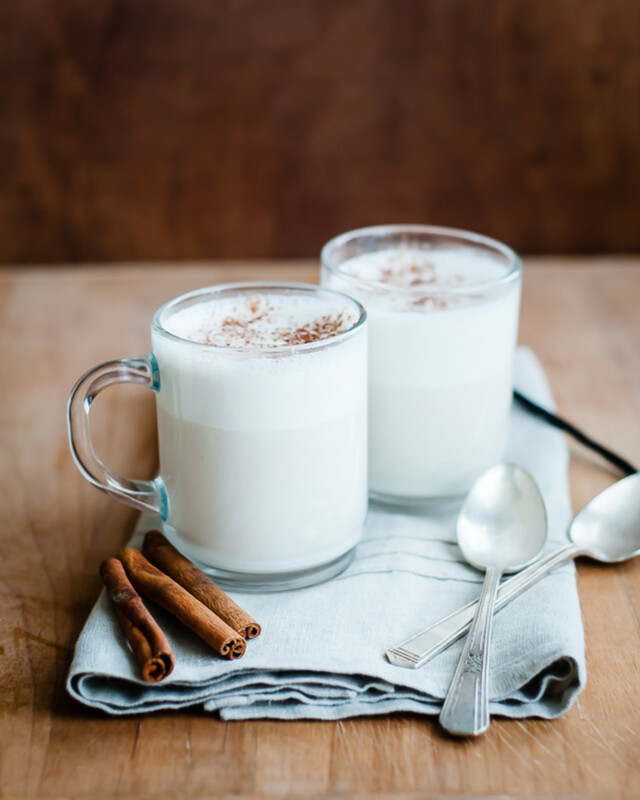 Any hot tea can be made into a Tea Latte, however. So, there can be some decaf Tea Lattes. Getting a tea bag turned into a Tea Latte also gives you the freedom to control how much sugar goes into the drink. Teavana is a chain of specialty tea shops that feature fresh and high quality loose leaf teas. 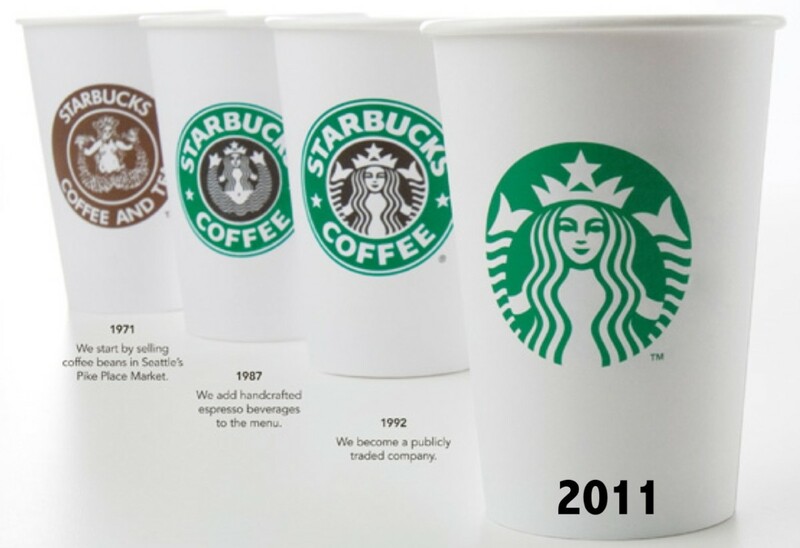 Starbucks acquired this company in 2012 and gradually switched from their own in-house Tazo tea offerings to the new Teavana brand. 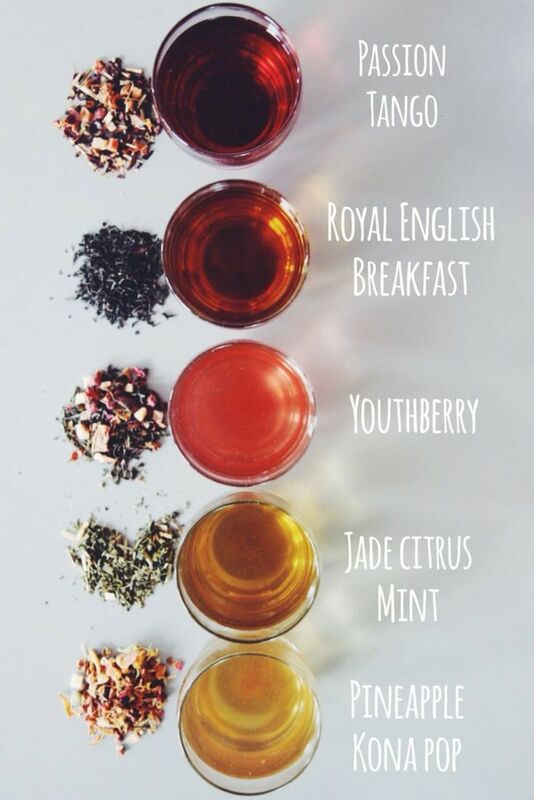 Teavana stores offer more tea varieties than Starbucks itself, but there is a selection of these high quality teas available in every Starbucks. 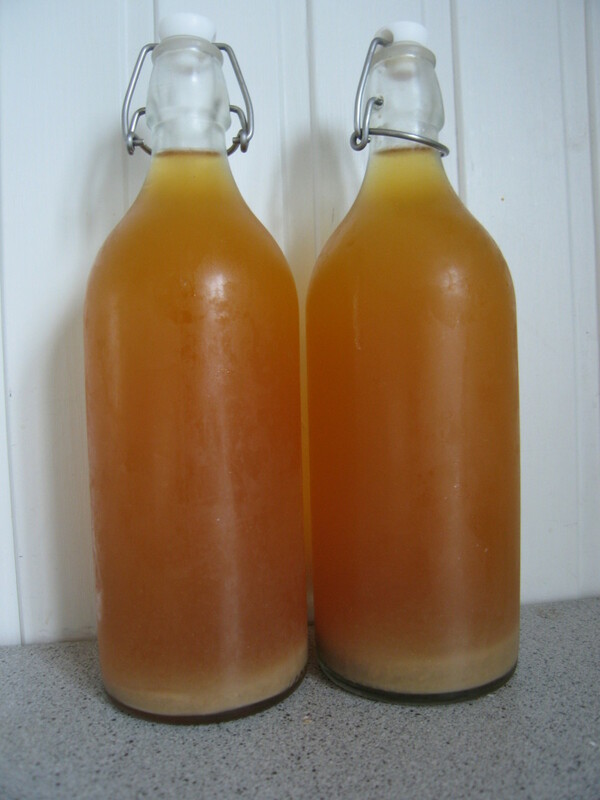 There is one caffeine free iced tea that is readily available. This is the Passion Tango iced tea, which has a tropical, fruity, and floral flavor. There are two caffeinated iced teas; green and black. The black iced tea is close to a plain iced tea, and the green iced tea is made with the Jade Citrus Mint, which is light and refreshing with notes of citrus and mint. There is a larger variety of Teavana hot teas available, and these can be made iced if you don't mind waiting five minutes for them to brew. If you're in a rush and want something unconventional iced, consider ordering the tea hot with an extra bag and asking for a cup of ice on the side. This will come up with something very similar to what the baristas do. These iced drinks have some caffeine in them. When they were released, they were marketed as a great afternoon pick-me-up and a good alternative to a soda. They are not like the canned versions, which are carbonated energy drinks. 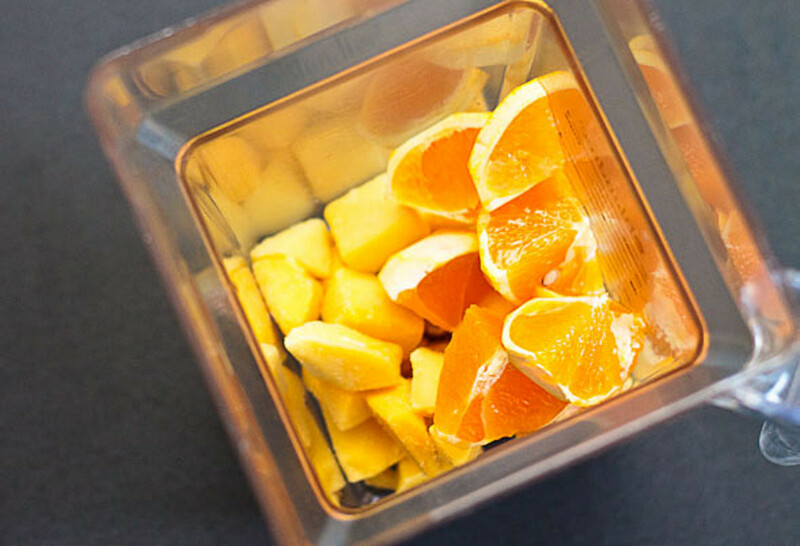 The refreshers made in-store are light and sweet. I like to describe them as somewhere between an iced tea and a juice. Refreshers come in three flavors: Valencia Orange, Berry Hibiscus, and Cool Lime. Currently available in Strawberry, Orange Mango, or Chocolate, Starbucks smoothies are all made with a banana, whey protein, and 2% milk. The ingredients can be adjusted to your liking. The Strawberry and Orange Mango Smoothies are flavored with fruit puree, and the Chocolate Smoothie includes Mocha syrup. None of these Smoothies contain any coffee, nor any caffeine. 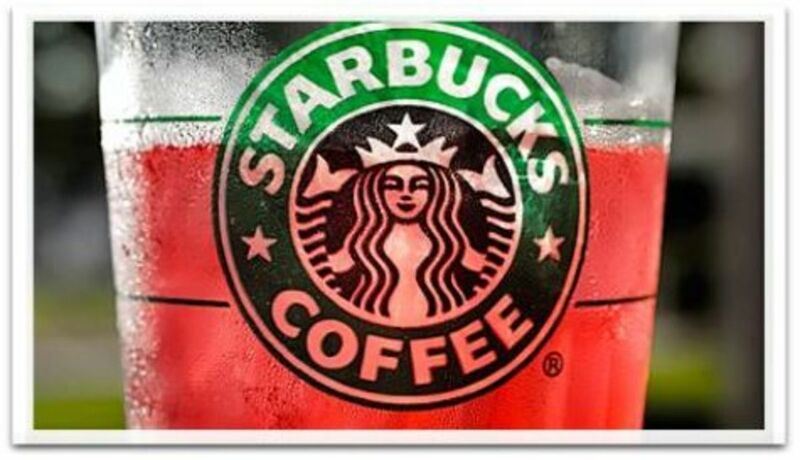 Any Starbucks seasonal drink can be made without coffee, and the registers come equipped to accommodate this option. Whether hot, iced, or blended, the coffee can simply be omitted from the recipe. 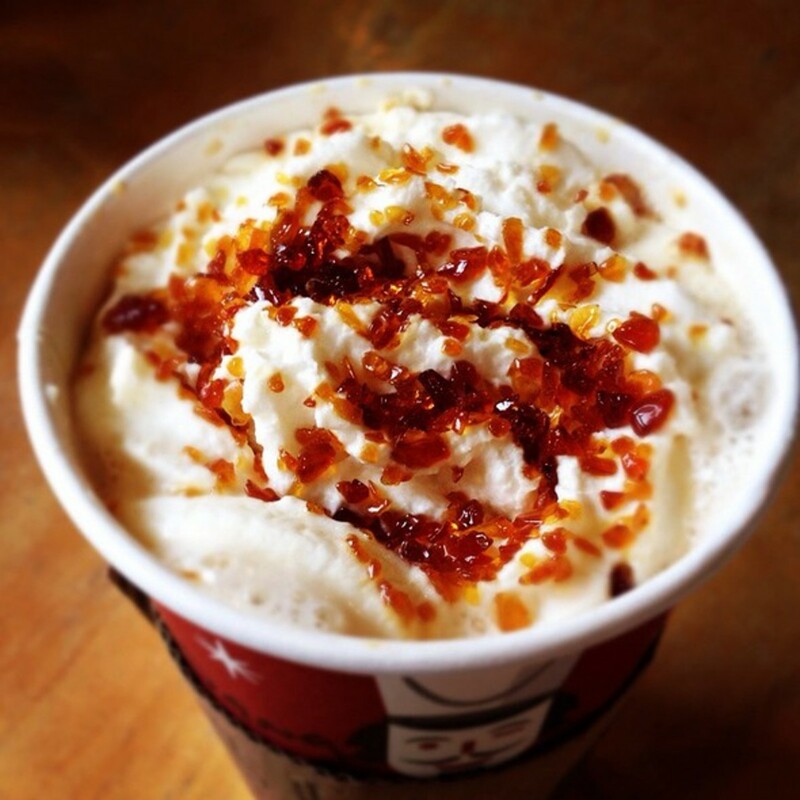 A Caramel Brulee Latte, for example, can be made hot or iced without the espresso. It can be made as a Creme based Frappuccino, as well. 3 years ago from Fort Worth,Tx. This is great! I have a teen that hates coffee but loves to go to Starbucks with her friends. So all she ever gets is hot chocolate. Nice to know about all the other non-coffee things they have. Thanks! Great hub. I would love to try some of those flavors, if they came in K-Cups. Voted up!